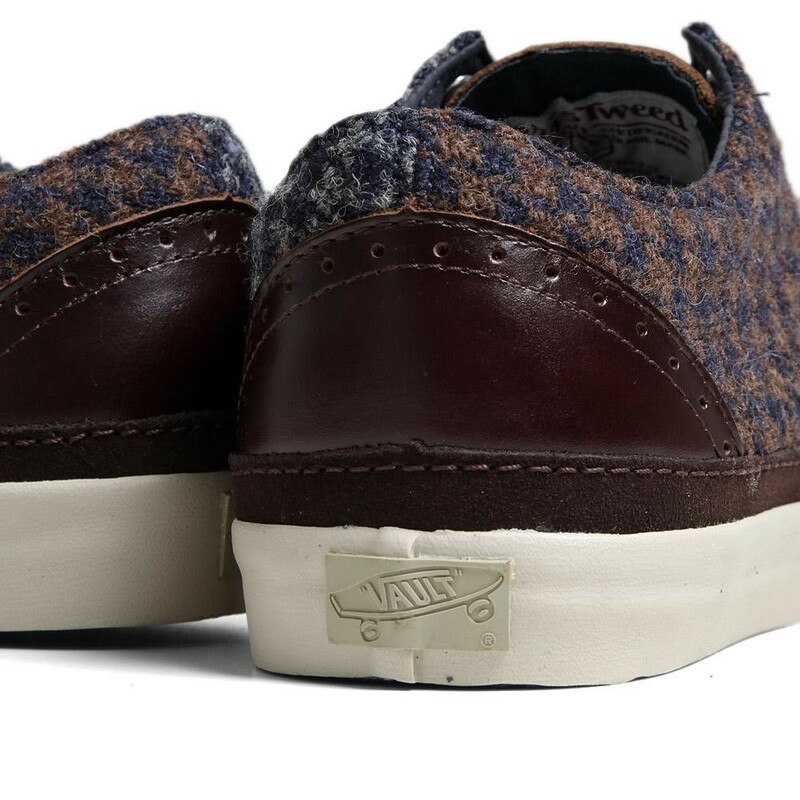 The new Harris Tweed x Vans Vault series continues with a special Old Skool Decon LX, featuring a deluxe Horween Leather and Harris Tweed build. 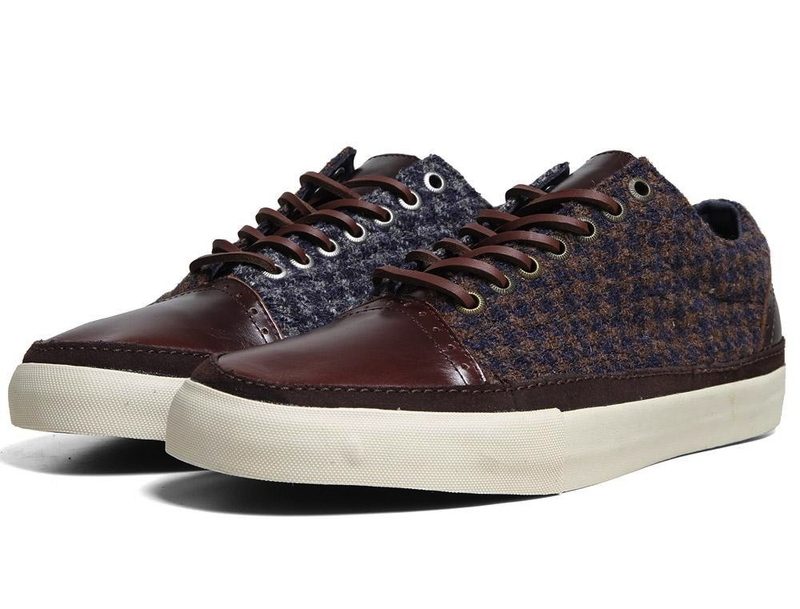 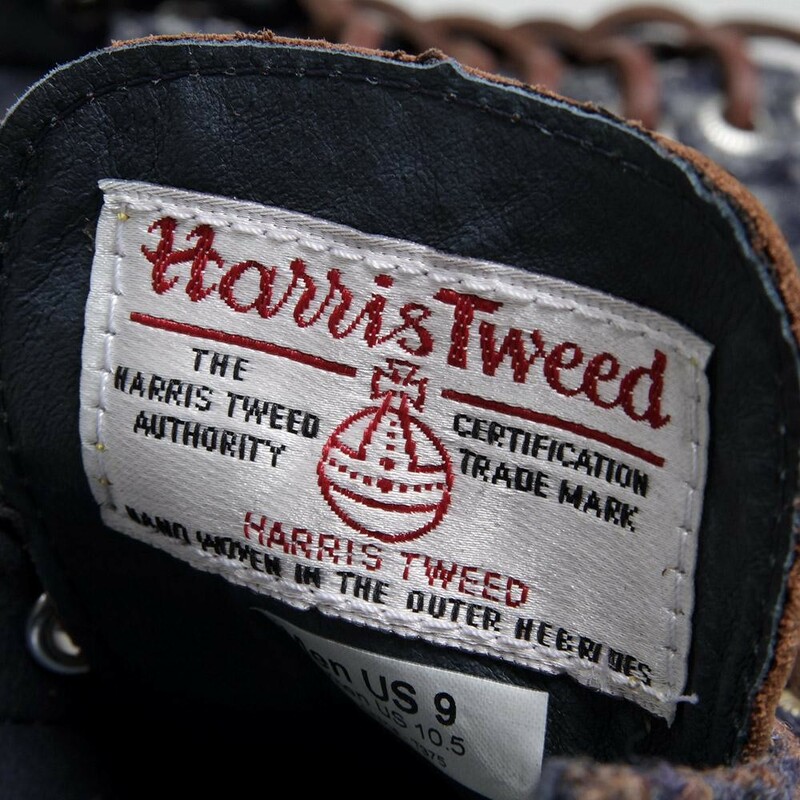 Two Harris Tweed patterns fill the upper, while premium Horween leather covers the toecap, tongue and heel. 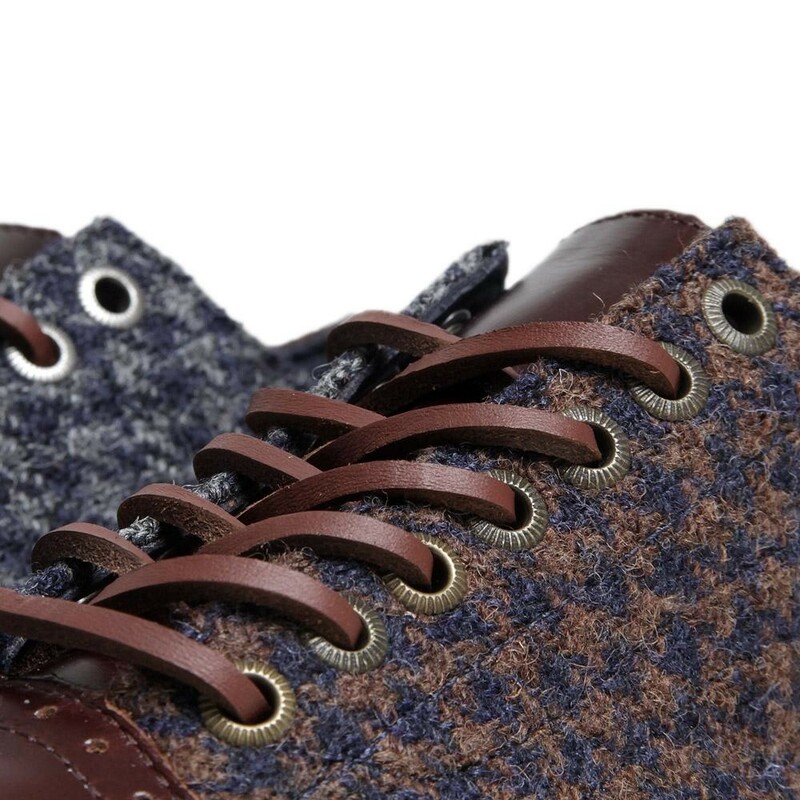 Bronze and silver eyelets, and rawhide leather laces complete this gentlemanly shoe. 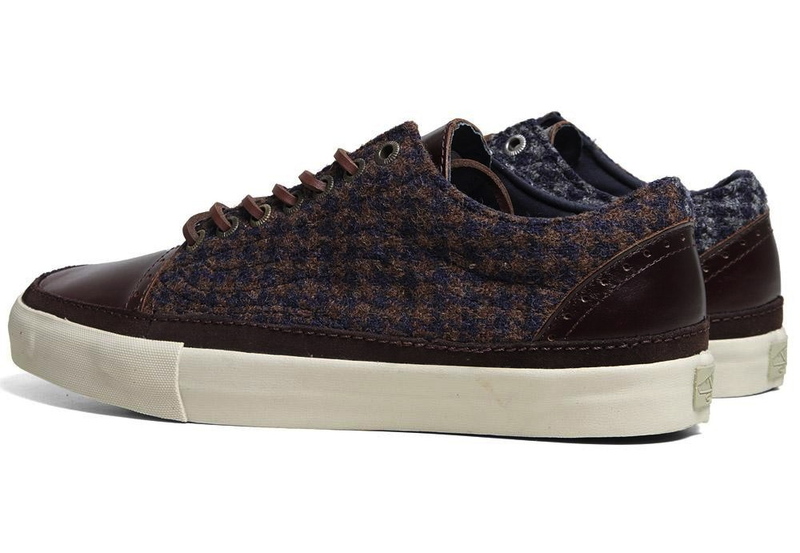 The Harris Tweed x Vans Vault Old Skool Decon LX is available now at End Clothing.